Each summer at the Fulbright English Program, I assisted in the training of between 10 and 20 new Fulbright Scholar Teachers. These teachers would teach two lessons in my classroom and observe my teaching. They also assisted with any club classes or other activities at FEP. Before each lesson, I reviewed their lesson plans and made suggestions. During their lesson, I completed formal observation and evaluation sheets and discussed the feedback with the Fulbright teacher-in-training. At the end of FEP, I, along with the other teachers at FEP, provided feedback to the Fulbright training committee to help create a stronger training program. Part of my duties at Sannam and Chungbuk High Schools as a Fulbright Scholar included assisting in the mentoring, training, and evaluation of student teachers of English. My involvement in the student teaching program was unofficial. The student teachers would visit and observe my classroom, and I would also watch their lessons when asked by the English faculty. Occasionally, students would ask me to review their lesson plans or provide suggestions for incorporating authentic English materials into their classes. During Sessions 4 and 5 of the Kagan Cooperative Learning, teachers learn how to select structures for different activities, and how to implement Cooperative Learning projects. During Session 3 of the Kagan Cooperative Learning, teachers learn classroom management tips and tricks for implementing Cooperative Learning in the classroom. Sessions 1 & 2 of the Kagan Cooperative Learning training serve as an introduction to cooperative learning, as well as how to set up a Cooperative Learning classroom and various structures and tools to implement in the classroom. As part of the training program, the Fulbright teacher training committee invites current and former Fulbright Scholar Teachers to give guest lectures and presentations to the incoming Fulbright Scholars. In July of 2015, I gave a presentation on the ways to use projects in an ESL classroom, and how to build a project-based lesson. During the Spring 2015 Fulbright Conference for Fulbright Scholar Teachers in South Korea, I had the opportunity to give a presentation on recent educational trends and the various ways to implement them in the ESL classroom. During the presentation, I touched on Inquiry- and Project-Based Learning, the Flipped Classroom, and Cooperative Learning. As part of the training program, the Fulbright teacher training committee invites current and former Fulbright Scholar Teachers to give guest lectures and presentations to the incoming Fulbright Scholars. 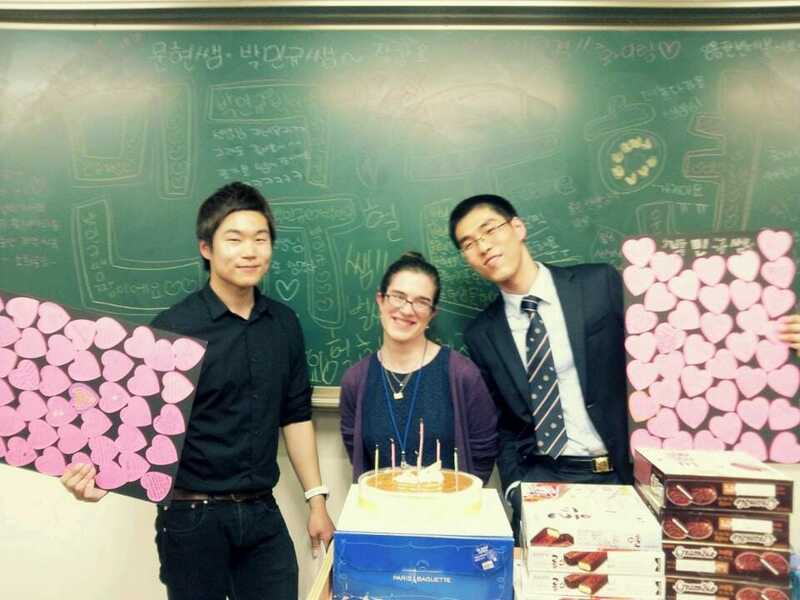 In July of 2014, I gave a presentation on how to navigate the topic of religion in South Korean classrooms. 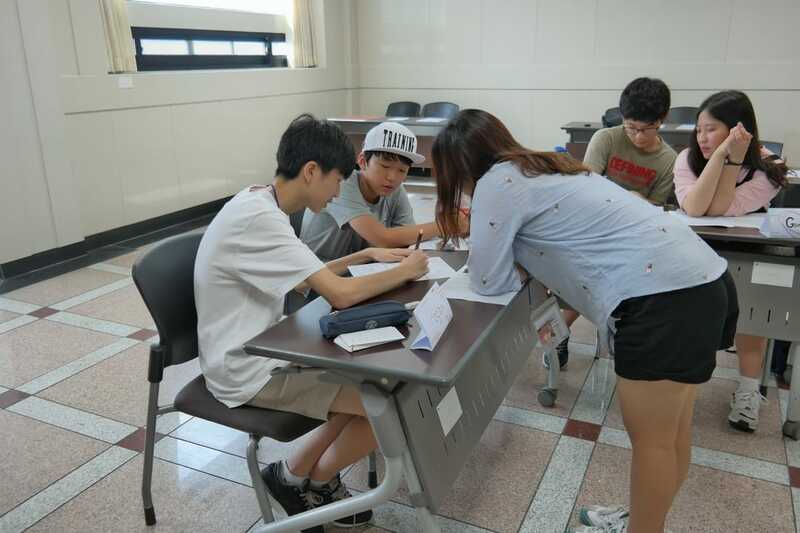 As part of my Fulbright Grant, I co-founded and coordinated the Chungcheongbuk-do and Chungcheongnam-do Youth Diplomacy and Activism Conference, a debate conference where students presented resolutions to local and national problems, and worked together to solve an issue of international diplomacy. During the spring Fulbright Conference in 2014, I presented about the YDAC program, and how to prepare ELL students to present and debate in front of others. During the fall Fulbright Conference of 2013, I researched and presented on the common mistakes Korean students make when using English. I also introduced various methods that could be used to correct errors in speech or writing.